But don’t expect any grant money – or much anyway – to sweeten the pot. While California, Connecticut, Massachusetts and New York, are offering tens of millions to compete for microgrid business, Maryland is taking a different route. With Republican Gov. Larry Hogan now at the helm, the Maryland Energy Administration is trying to sell its ability to build markets, particularly since its within the distributed energy-friendly PJM Interconnection. Haas, along with Eric Coffman of the Montgomery County Office of Energy and Sustainability, offered insight into how they are growing the state’s microgrid market at the Military and Government Microgrids Summit in Arlington Virginia, sponsored last week by S&C Electric. “My goal is that I never have to design another grant program again,” Haas said. Instead, he said Maryland wants to foster a market that becomes an incentive in itself. Maryland consumers have made clear that they want a clean and resilient energy system, especially during public discourse on the proposed Pepco/Exelon merger. Haas sees his job as lining up that demand with what microgrid developers offer. 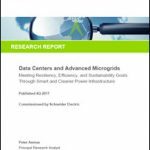 Concern exists that microgrids are expensive. But that’s largely because many of their benefits have yet to be monetized. If the benefits are stacked – the value added together of ancillary services, generation, environmental attributes etc. – a difference picture emerges, according to Haas. Maryland also plans to try to reduce the soft costs for developers, making it easier for them to navigate permitting and public service commission approvals. Can Maryland’s free market, with few grants, draw in microgrid developers? Haas didn’t have to point far for evidence. Coffman, sitting next to him on the stage, said that Montgomery County has issued a solicitation for microgrids to serve three large facilities (one is 5 MW). It did so without any state incentive money. Montgomery County received a healthy 14 bids, and has shortlisted six projects, whose proposals are due April 23. Can Maryland develop a free market for microgrids when states like New York are offering $40 million to attract the industry — especially during this nascent market stage? Let us know what you think, readers. We have a new LinkedIn Group. Check it out! Community Microgrids and Local Energy. Microgrid, Renewable Energy, sustainable green Energy like mirrortec is the future. We will Build that market step by step ! We must keep moving and support each other ! Life is like a bicycle, to keep your balance, you must keep moving (Albert Einstein).